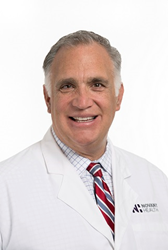 Novant Health is adding a new physician service line leader, Dr. Vincent J. Pompili, MD, as it continues to expand its heart and vascular capabilities. Pompili will lead heart and vascular services — including cardiac, thoracic and vascular surgery — across the Novant Health system’s four-state area. “The work of the Novant Health Heart and Vascular Institute is truly anchored in excellent histories of cardiovascular care in its communities,” Dr. Vincent Pompili said.